In today’s Zimbra Power Tip we show how to fix a very specific calendaring issue where some calendar applications cannot write to, view, or create events on a shared CalDAV calendar. 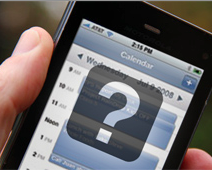 This is specific to CalDAV configured Android devices, iPhones and iPads, or even iCal on your Mac. Let’s identify a scenario around this problem. Your boss shared a calendar with your team. Functionality works flawlessly in your Zimbra webmail and your boss’s webmail but is behaving improperly in your non-webmail applications, like on your iPhone or Android tablet. Missing calendars or can’t edit events? Try this fix for your CalDAV calendars . The delegated calendars will not display at all. The calendars appear but cannot be modified. You are unable to create new calendar events specific to this share. This can be frustrating, especially since you went through the process to configure CalDAV to support your many calendars and to save battery life on your devices. Typically, the first thing we hear on the support side is, “Help, my calendar is broken!” The good news: your calendar does work. It just requires a simple adjustment. It has to do with a Zimbra preference setting. Setting up CalDAV with iCal delegation off doesn’t allow write access to shared calendars. Setting up CalDAV with iCal delegation on doesn’t allow the calendars to be provisioned on the phone. Once CalDAV is provisioned with delegation off, the shared calendars will continue to work once delegation is turned on. Please note: the following fix is not for all Zimbra Email and Collaboration account levels. It is specific to paid Premium & Standard edition accounts that support email, address book, calendar, tasks, and briefcase. It is also specific to calendars configured to use CalDAV and not ActiveSync (Apple iOS configuration calls it “Microsoft Exchange“). If you have ActiveSync configured for the account on any of your devices, be sure to disable the calendars inside the settings. Click on the Preferences tab and select Calendars. Un-check iCal delgation if checked and Save your settings. 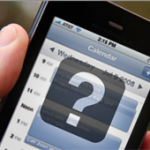 Refresh your CalDAV calendars on your mobile clients to provision all calendars if not already provisioned. Return to Zimbra preferences and check iCal delegation. Save your settings. Refresh your CalDAV calendars again. Done! This should have fixed the issue with mobile devices writing to CalDAV calendars. It should also have fixed any hang-ups iCal was having with delegated calendars. Again, give everything approximately 15 minutes to sync with the server. Test this with your various Android and iOS devices, allowing the device app enough time to fetch data from the server. You should be able to view and manage your delegated calendars as expected. Note, some application settings may need to be adjusted to meet your preferred sync refresh increments. Any time a new shared calendar fails to work as expected you may need to repeat this process. After you try it out please share your experience in the comments below.